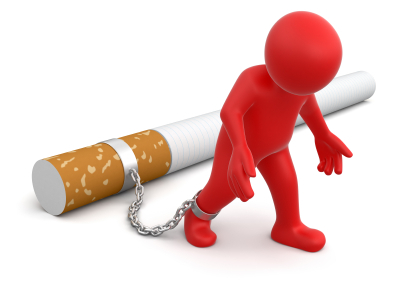 Would you like to know How To Stop Smoking? The best way to become a non-smoker is to make a sincere and heartfelt decision to quit. Many people want to stop and they would stop if they could, or if stopping was easy. They worry about the consequences of smoking and try to put it all to the back of their mind but they don’t ever make the commitment that no matter what, no matter how hard it is to quit they want it more than anything else. These people are vague about stopping ; when they think about it they make half-hearted attempts to stop but there’s no real conviction in them, and why? They lack conviction because they think quitting smoking is hard or because they’ve tried it many times before and failed. They try all the pills and potions and imitation cigarettes but always with more hope than conviction. These people visit hypnotherapists and hand over the responsibility for stopping to them but the hypnotist cannot make people who lack commitment stop smoking. So commit! Quit focussing on the reasons why you can’t do it or how hard it will be and say, “I will do it, no matter what!” Then say it often, with conviction as if you mean it because you really do mean it. In the beginning you don’t need to know how you’ll do it, just that you will do it and then stick with it. Say, “I will stop no matter what,” with conviction at bedtime in the morning and while smoking or not smoking. Stop calling yourself weak! Stop accusing yourself of having no willpower! Stop beating yourself up for smoking! If that kind of behaviour worked you’d already have stopped wouldn’t you? Ignore all that stuff and keep on using the mantra or affirmation with conviction, “I will stop no matter what.” Affirmation means to make firm in the mind and every time you repeat the phrase with conviction you are building a mental construction, a new belief that will eventually out picture itself. Smoking is more of a habit than an addiction there are no true withdrawal symptoms from the nicotine there are only withdrawal symptoms from the habit. A habit is only something you trained your mind to do by repeating it over and over again. You can form new habits using the same formula and with an understanding of how mind’s work it’s easy to do with a committed person. So commit! Do it now and stick with it.